How to remove or disable MTKLogger and Factory from appearing on each boot on Android smart phone? As you know when you flash Qualcomm Android smart phones i.e. Panasonic, Coolpad and other phones or other phones runs on Qualcomm CPU, after flash when you switched on the phone, you will see the "factory" written on the top of the screen on the startup screen. So here is the solution for this problem. 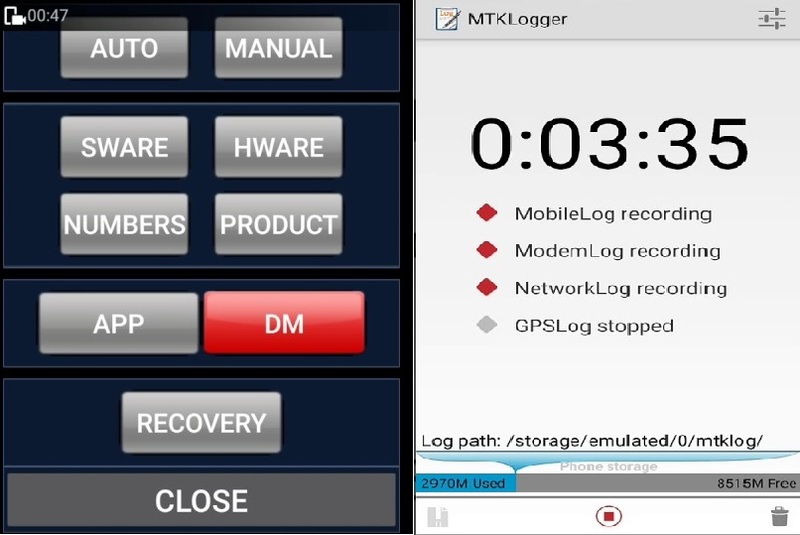 After stop now click on delete button and it will open "Clear MTKLog Files"
Now click on "CLEAR ALL" and then click "OK"
If DM Flag value is "1" Choose "OK" DM mark will become "0"
If DM colour turn green from red, then choose "Close"
How to remove factory written on start up screen Qualcomm phones. When switch on the phone it shows "factory" on boot screen. After flash Panasonic modem volume up down show on screen. After flash Coolpad note 3 shown "factory" on boot screen but phone is working fine. After flash coolpad note 3 lite set OK, but shown "factory" on boot screen on each boot. How to disable "factory" on coolpad smart phone. How to bypass up down modem on coolpad phone after flash.